Broadwater Football Club are hoping to continue their FA Sunday Cup adventure when they host Bristol-based side Lebeqs Tavern on Sunday. Broadwater entered the competition for the first time this season and won 4-1 at Market Hotel, in Lydd, in the first round last month. The Worthing & Horsham League leaders will now host Lebeqs Tavern on Sunday, with a 2pm kick-off at Worthing United, and chairman Jamie Crouch said: “We’ve only been formed since 2014 but we wanted to do something a bit different this year. “We’ve never been in it before, so don’t know how good teams are. We wanted to enter at first without necessarily a realistic chance of getting far, it was more for the enjoyment. “But the last round has changed things a little bit. Now we’re looking to push on and see if we can get a bit further. We’ve spoken to people who have been in the cup before and heard stories about ex pros coming in and stuff like that. Pagham midfielder Liam Humphreys plays for the club and a number of local players make up the squad, including several from Lancing United. 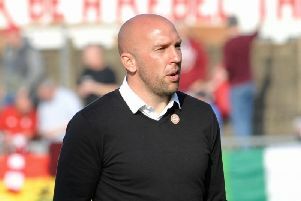 Manager Mat Boyd added: “It will be nice to get a lot of family and friends down and we’re thankful to Worthing United for laying it on for us. The game will be decided on the day, with extra-time and penalties if necessary.